So many times little things brighten my day. A small baby making a forceful rolling R sound, a tiger spraying a heckler at the zoo or a correctly-executed high five all tend to put a shimmy in my step. 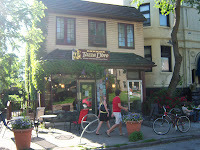 One moment of late that really perked up my afternoon was a coffeehouse in Highland Park called Tazza D'Oro. I had not been sad or down prior to arriving that fine day but the day had proven rather warm and I was a little worn out. Noting the shared name to the Roman cafe of fame (though, having just visited Rome, I wouldn't say I was impressed with it), this Pittsburgh cafe is no cheap knock-off. I had heard from many credible palates that the coffee and skill was truly great, and I could feel optimistic (metaphorical) dragonflies lifting my weariness as I walked past their charming outdoor area into their lovely innards. Standing amidst the stone tile floor, exposed wood beams and nice lighting, I settled on a Costa Rican for my drip and an espresso of (what I was told was) a custom blend, both from Verve Coffee Roasters out of CA. 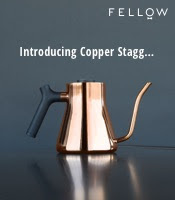 My drip delivered a bright, earthy coffee with the presence of mango, paprika, nougat and a darker body (the last characteristic could be more from time in the pump pot, but I emphasize that it did not taste stale). The espresso, pulled short with beautiful crema, popped with a cocoa, almond, molasses, lemon candy and rum. Both coffee extractions were well-prepared and delicious. The tea is free leaf. 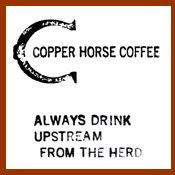 As you may have deduced, my day got another ray of sunshine from my coffee but not from the caffeine (ok...maybe a little), but for the excellent flavors showcased. 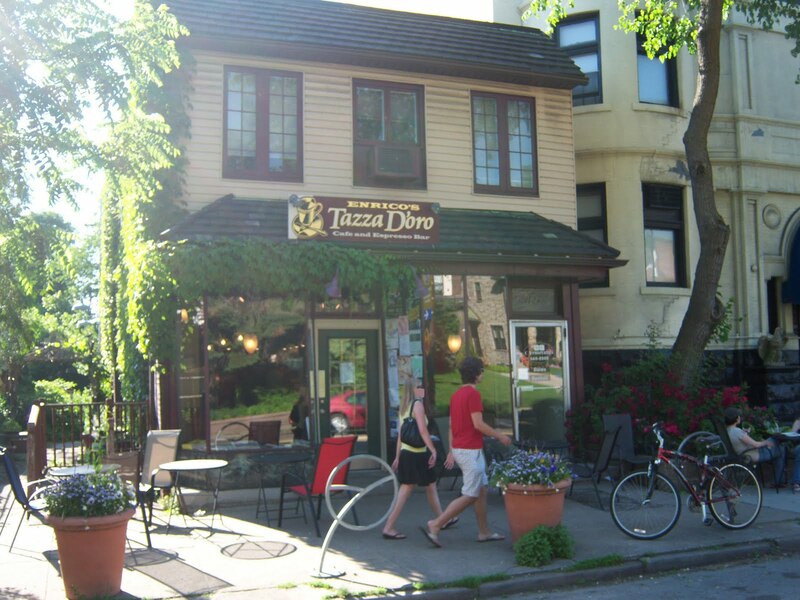 If you happen to be in Pittsburgh, stop at one of Tazzo D'Oro's locations.